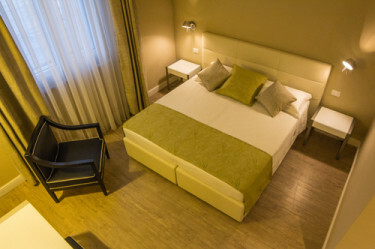 Dal soggiorno business a quello romance o come semplice tappa del vostro viaggio, l’ Hotel Universal, con le sue 22 stanze suddivise in 6 categorie, e tutto il suo staff, è pronto ad accogliervi per rendere la vostra permanenza a Livorno qualcosa che va oltre il semplice soggiorno. 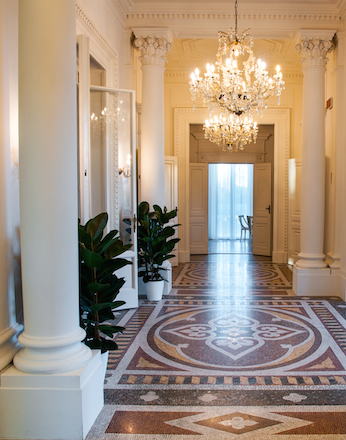 Re-opened in September 2014 after three years of renovation, Hotel Universal offers now to our guests a sophisticated and modern design combined with the beauty and elegance of the Liberty style building. 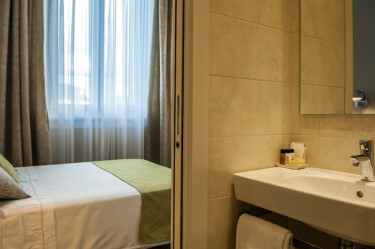 Renovated to be accessible for our differently able guests, rooms and common areas included. Four - footed friends are welcome. Gay Friendly. Everyone is welcome. Entirely renovated to delight both inhouse and walk-in guests. 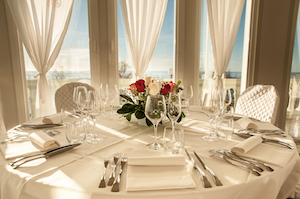 Restaurant L’Orizzonte offers a contemporary cuisine with a marked personality, mainly oriented towards sea food specialties, but including meat dishes as well as vegetarian. The menu changes regurlarly to offer new and fresh specialities.